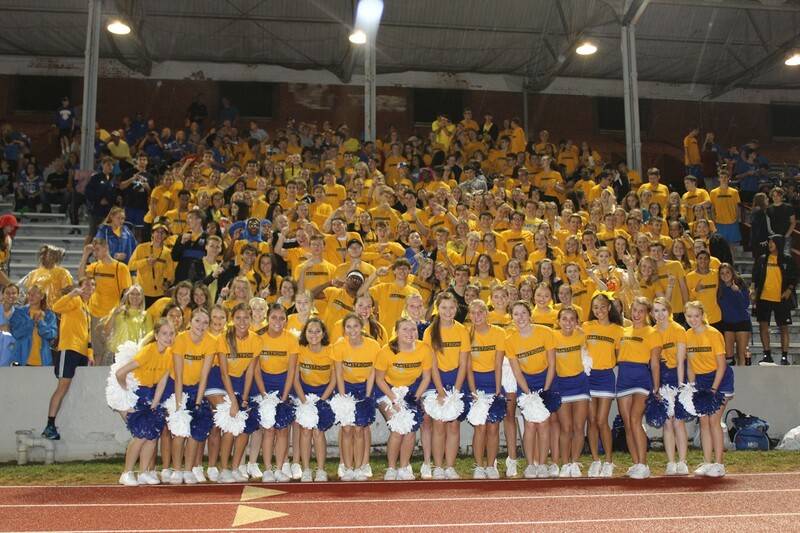 The turnout for the 2018 SamStrong Childhood Cancer Awareness Football Game on Friday September 7 was huge, with both Memorial and Mater Dei GOING GOLD! 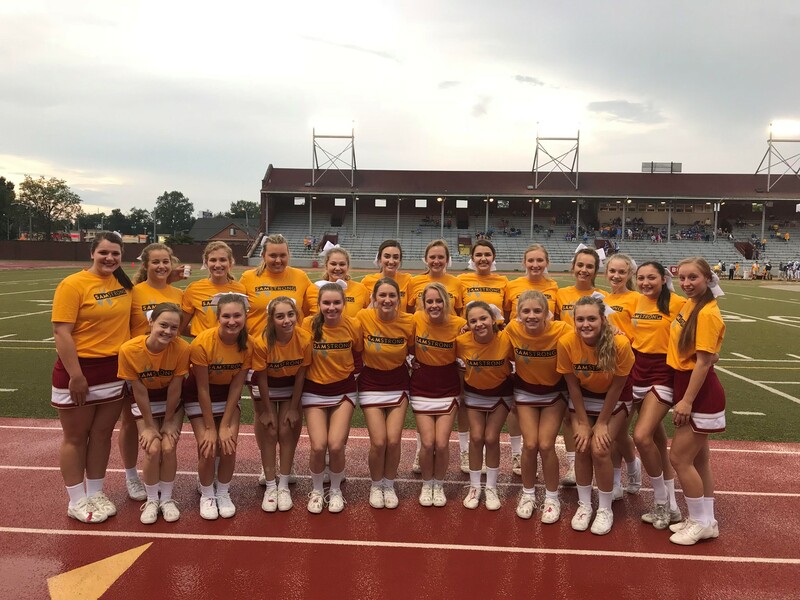 Evansville Mayor Lloyd Winnecke issued a proclamation declaring September 7, 2018 as Childhood Cancer Awareness Day in Evansville. 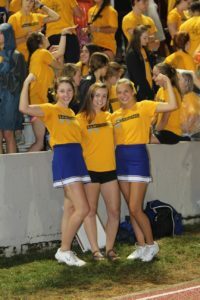 The rain held off and spirits were high. 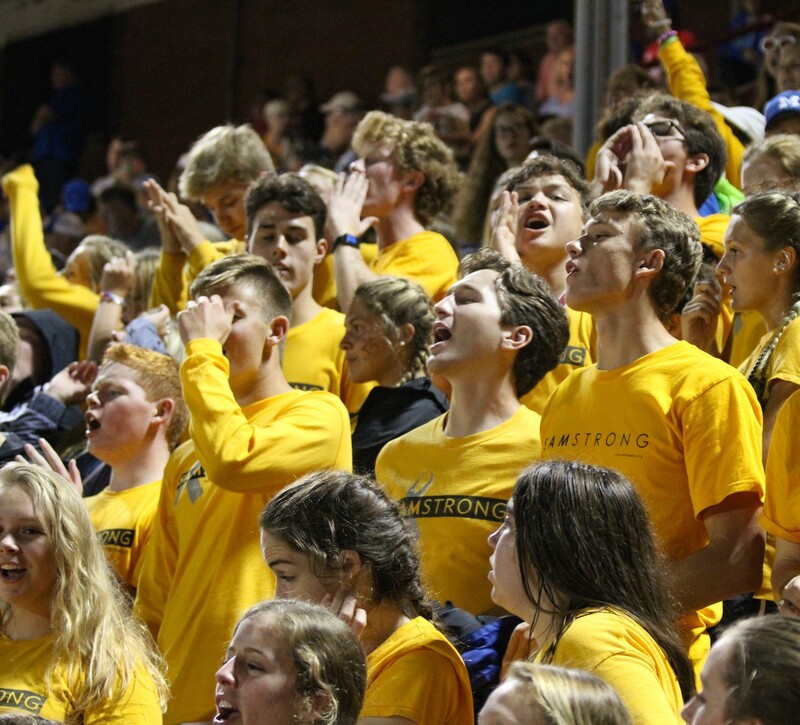 A huge “Thank you!” to the students, faculty, and parents at Memorial High School and St. John the Baptist School for keeping the spirit of SamStrong alive and for purchasing and continued wearing of your SamStrong shirts, and to the students and faculty at Mater Dei for joining with SamStrong to help defeat childhood cancer. 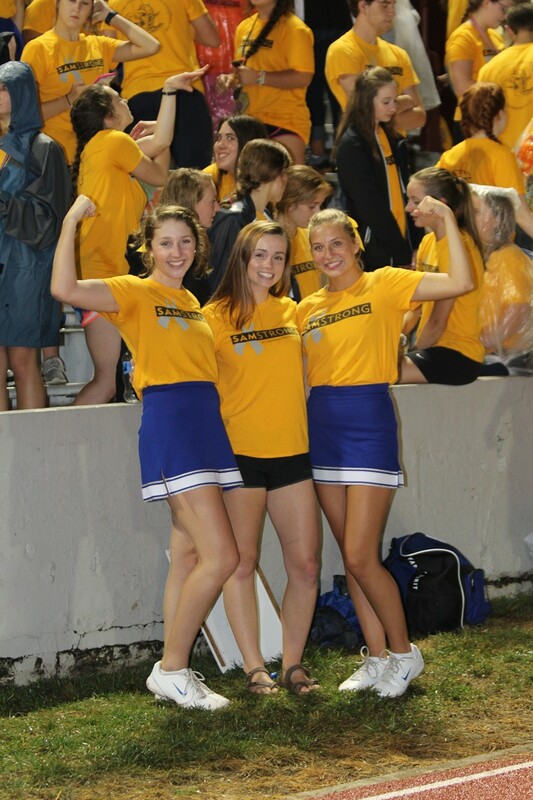 Memorial cheerleaders have the power! Mater Dei cheer squad GOES GOLD! The spirit of the Tigers!